You’ve tried multiple diets throughout your life. You’ve lost and gained those same 25 pounds repeatedly and have been on more diets than you can count. 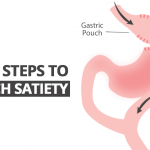 Tired of the never-ending diet roller coaster, you finally sought out bariatric surgery and found a new, healthier you in the years following your surgery. After a while, you may have started to notice a few pounds creeping back on or maybe you are still struggling to hit your weight loss goals after surgery. Either way, you are faced with the next question: now what? Many of you may have turned to friends or online support groups to find out how to lose more weight after bariatric surgery. You may spend hours online reading about the newest diet trend and suddenly you discover one that seems to be the CURE to the struggle with obesity! At first, you wonder if this is too good to be true? Is this healthy or sustainable? Will I be able to meet my nutrition needs? What would my dietitian say? Before you embark on this high-fat diet craze, let’s take a look at some of the truths behind this diet to help you determine if this is the right fit for you. The Ketogenic Diet, or Keto as it is more commonly referred to, is a high-fat, low protein, extremely low carbohydrate diet. The diet was originally developed in the early 1900’s for children with epilepsy and as a diet therapy for controlling diabetes. Over the years, the ketogenic diet has also been tested and used in closely monitored settings for cancer, diabetes, polycystic ovary syndrome, and Alzheimer’s disease. But lately, you may have been seeing the Ketogenic diet gaining popularity for a more common reason: weight loss. This started back in the 1970’s with the diet popularized by Dr. Atkins’s low carb program. So what is different about the Ketogenic diet and the Atkins diet? Mostly it’s about fat intake. A classic Keto diet consists of consuming 90% of your daily calories from fat, 6% from protein and 4% from carbohydrate. (For a 2000 calorie/day diet, this would equate to eating 200g of fat, 30 g protein and 20g carbohydrate per day.) Most people are following a Keto diet variation of this such as a modified Keto diet, modified Atkins diet, low glycemic index diet Paleo diet, South Beach Diet and Dukan Diet. This combination of high-fat, low-carb and moderate protein intake changes the way energy (calories) is used in the body. Our bodies mostly use carbohydrates as the main source of energy for all cells in the body (your brain, which cannot store glucose, needs the most glucose in a steady supply, approximately 100 grams of carbs per day). The basis for the Ketogenic diet is that if you deprive your body of carbohydrates (or glucose), your body turns to its fat and muscle stores for energy. During fasting, or after a few days of having limited carbohydrate intake, the body uses stored glucose from the liver in addition to breaking down muscle to release glucose. When your carbohydrate stores are completely depleted, insulin decreases, and the body begins to use fat as its primary fuel source. In turn, your liver produces ketone bodies from fat, which is also used as energy for your brain (hence the term “ketosis”). Getting into a state of ketosis is different from person to person depending on body fat percentage and metabolic rate. When you get to a state of severe carbohydrate restriction, your body begins to break down fat, and some muscle, to use for fuel instead. As a result, you begin to see weight loss. There is no doubt there is strong supportive evidence that using ketogenic diets in weight loss therapy is effective. However, this is NOT an easy diet to follow. You will be cutting out a lot of unhealthy foods from your diet – french fries, soda, bread, pasta, rice, cereal, but you will also be eliminating a lot of very healthy carbohydrate foods including fruit, beans and legumes, and whole grains. Without these healthy foods, you are also eliminating fiber from your diet, which can cause constipation. This diet is all about fat intake- more cream, butter, cheese, fatty meats, and unhealthy oils like coconut oil. These foods are very high in calories and saturated fats and can raise your triglyceride levels, potentially increasing your cardiovascular risks. What about protein intake? For anyone who has had bariatric surgery, you know how important protein intake is for maintaining muscle mass. During weight loss, higher protein intake reduces the loss of muscle mass and may help improve the loss of body fat. The Academy of Nutrition and Dietetics recommends that the average individual should consume 0.8 grams of protein per kilogram or 0.35 grams per pound of body weight per day for general health. So a person that weighs 75 kg (165 pounds) should consume an average of 60 grams of protein per day. Regardless of your protein intake, the best way to maintain muscle mass while losing fat is strength training. The American College of Sports Medicine recommends at least 30 minutes of moderate-intensity physical activity five days per week, with strength training at least 2 days per week. Available research on the Ketogenic diet for weight loss is still limited. Most of the current studies have had a small number of participants, were short-term (12 weeks or less), and did not include control groups. A Ketogenic diet has been shown to provide short-term benefits in some people including weight loss and improvements in total cholesterol, blood sugar, and blood pressure. However, these effects after one year when compared with the effects of conventional weight loss diets are not significantly different. Following a Ketogenic diet has been shown to be one of many effective lifestyle and dietary therapies for weight loss. While it is true that people do lose weight following this high-fat diet, the weight loss is not much different than following other effective dietary strategies. A recent article in the Journal of the American Medical Association (2018) reported that people who follow a Ketogenic diet tend to lose more weight and keep it off compared to people who follow low-fat diets. However, if you read further into the article, you will find out that the difference in weight loss after a year or more was only two pounds. The key to any diet is energy restriction and consistency. Following the Ketogenic diet, you still need to be aware of your calorie intake. Many people following the Ketogenic diet do not see significant weight loss while consuming large amounts of high-calorie fats. Being able to follow any food restrictive diet for a long time is really where you begin to see results. There are very few studies that follow people on a Ketogenic diet longer than six months, and most studies on low-carb diets have not shown long-term weight loss success or weight loss maintenance. Being able to follow a high-fat, low-carb diet for months at a time may lead to boredom with your food choices. 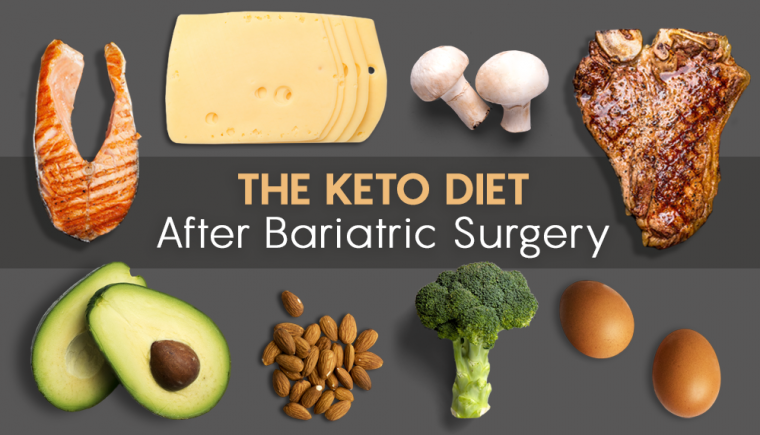 Is the Ketogenic Diet After Bariatric Surgery One to Follow? As a dietitian, I never wish to discourage patients from following any diet program that can be beneficial in weight loss. If you have been looking at online message boards and bariatric support groups, you have likely seen numerous people who are promoting or supporting the Ketogenic diet. But is this the right choice for you? Ask yourself “Is this diet sustainable?” The key to success for ANY diet is consistency and adherence. If you cannot follow this plan long-term, it may not be the right approach for you. Be mindful of your calories. Although the premise of any low carbohydrate diet seems to follow an “all you can eat” approach, the truth is that calories do count. No matter how you limit your carbohydrate intake, if you are overconsuming calories from any food source, you will likely see weight gain. Choose healthy sources of fat. Given the nature of the high-fat Ketogenic diet, many people are opting to fill their diets with high-calorie, high-saturated foods. You should aim to get most of your fats from healthy sources such as avocados, olive/canola oil, and nuts/seeds. Try to follow the 80/20 rule, make 80% of your fat intake from healthy sources, and leave the other 20% of your intake to fats such as cream cheese or bacon. Increase your protein goals. The average adult needs 60-100 g of protein per day (you likely heard this recommendation when you went through bariatric surgery). Don’t cut your protein intake too low or you may risk losing more muscle mass. Aim for lean protein sources such as chicken breast, egg whites or protein shakes. Strength Train at least 2 days per week. As you lose weight through ANY diet, you don’t want to look like a plastic bag full of pudding. In order to keep those muscles strong and your body lean, you have to get some strength and resistance training a minimum of 2 days per week. Consider the mental aspects of WHY you are eating. One of my concerns about the Ketogenic diet is that many people believe they can eat large quantities of unhealthy foods and still lose weight. Think of why you went through surgery and why you are trying to lose weight. Why are you choosing to overeat unhealthy foods? Are you spending a large amount of money and time to make low-carb cookies or low-carb junk foods? 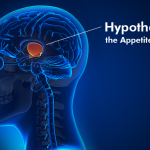 Are you using high-fat foods for boredom eating or emotional eating? If you do not get to the root issues of overeating, no diet will be successful. A Ketogenic diet may be an option for those who have had difficulty losing weight or those who may have regained weight after bariatric surgery. The exact ratio of fat, carbohydrate, and protein will vary among individuals. If you believe you can follow this diet long-term, you should check with your doctor and dietitian to closely monitor any biochemical changes and to create a meal plan that is tailored to your goals. Your dietitian can also address any health conditions and help prevent nutritional deficiencies while guiding you on reintroducing carbohydrates once weight loss is achieved. With such a limited carbohydrate intake, you may also need to discuss any medication changes you may need to make. If you chose to start the Ketogenic diet, try to eat mostly healthy fats, increase your strength and resistance exercises, and maintain a healthy calorie intake. Paoli, A. (2014). Ketogenic diet for obesity: friend or foe? International journal of environmental research and public health, 11(2), 2092-2107. Kim, J. M. (2017). Ketogenic diet: Old treatment, new beginning. Clinical Neurophysiology Practice, 2, 161-162. Hartman, A. L., Gasior, M., Vining, E. P., & Rogawski, M. A. (2007). The neuropharmacology of the ketogenic diet. Pediatric neurology, 36(5), 281-292. Bueno, N. B., de Melo, I. S. V., de Oliveira, S. L., & da Rocha Ataide, T. (2013). Very-low-carbohydrate ketogenic diet v. low-fat diet for long-term weight loss: a meta-analysis of randomized controlled trials. British Journal of Nutrition, 110(7), 1178-1187. Paoli A, Rubini A, Volek JS, Grimaldi KA. Beyond weight loss: a review of the therapeutic uses of very-low-carbohydrate (ketogenic) diets. Eur J Clin Nutr. 2013 Aug;67(8):789.Gupta L, Khandelwal D, Kalra S, Gupta P, Dutta D, Aggarwal S. Ketogenic diet in endocrine disorders: Current perspectives. J Postgrad Med. 2017 Oct;63(4):242. 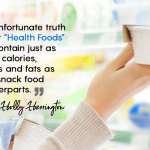 Holly Herrington, MS, RD, LDN, CDE has been a Registered Dietitian for 8 years and is currently in her 4th year as a Certified Diabetes Educator. She has previously served as clinical dietitian in the Center for Lifestyle Medicine at Northwestern Medical Faculty Foundation in Chicago for seven years. Alongside Dr. Robert Kushner, she authored multiple textbook chapters on nutrition for bariatric surgery and weight regain following bariatric surgery. She has been a guest lecturer and presenter at the American Society for Metabolic and Bariatric Surgery (ASMBS), The Obesity Society (TOS).